Our New Bible College- We hope to start full time classes in August. Kuyga & Missionvale- 2 areas that some of our teammates will be starting churches in. The sell of our home in the US. Our oldest son Tyler, who is in Bible College back in the States. We are hopeful he will also be able to visit us in December. We have 5 mission teams visiting here in June and July. Pray the Lord does something great in the heart of everyone who is able to experience ministry on the foreign field. Many are leaving the US for their first time. 13 People made professions of faith during our 5-day evangelistic tent meeting this past month. Our oldest girl Emilee, turns 16 on June 6th. We are very proud of the young lady she is. Please pray for her as she will be going on a mission trip to Chile, South America in July to visit the Jason and Lori Holt Family. If you are interested in working in short-term missions and camp ministry, please contact me ASAP. We would love to have you be a part of Camp Rhino. There are opportunities all year long. If your church is interested in traveling to South Africa for a missions trip in 2019 or 2020, please let me know, and I will email you an information packet right away. This month we have seen several people make professions of faith and the majority of those people were during our evangelistic tent meeting. 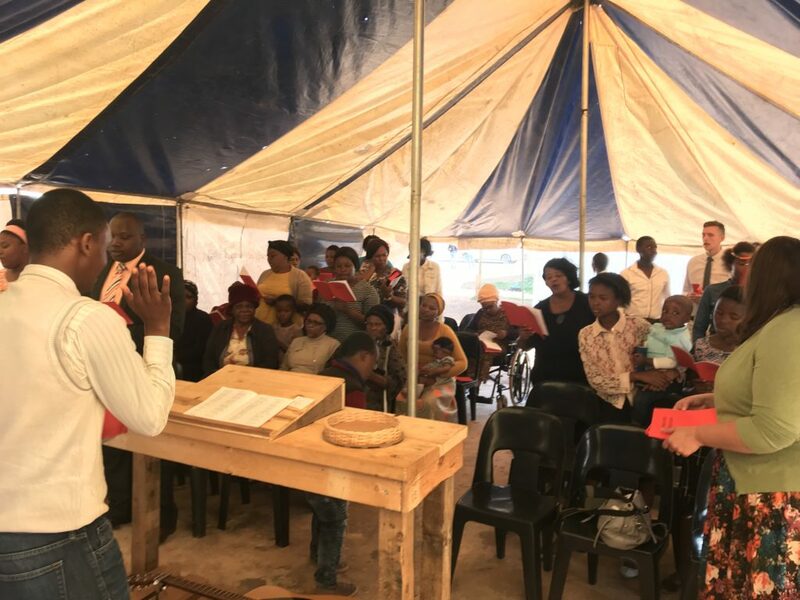 Please continue to pray that we can raise funds to purchase our own tent and equipment that would allow us to do these types of meetings more often. We hope to help our team of churches do at least one a month. We have made an offer that was accepted on a new property for Camp Rhino. It’s 19.5 acres of flat land with a house and a few buildings. We are $66,000 short of the purchase price, and hope to make up the difference with the sell of our house in the States. The purchase price of the property is approx. $196,000. Please pray we can sell our house in the States soon. With our visiting groups coming in June, we have the opportunity to present the Gospel to hundreds of children and teenagers in the Public School System here in Port Elizabeth. Pray that many will come to Christ during this time.